James Cowan (1870–1943) grew up on Waikato land confiscated from Māori. The family farm included part of the Ōrākau battlefield. It was here that Rewi Maniapoto, when asked to surrender, had famously told the British that he would fight on ‘forever and ever’ (‘Ka whawhai tonu mātou, Āke! Āke! Āke!’). Cowan’s lifelong fascination with colonial history grew out of his childhood experiences. 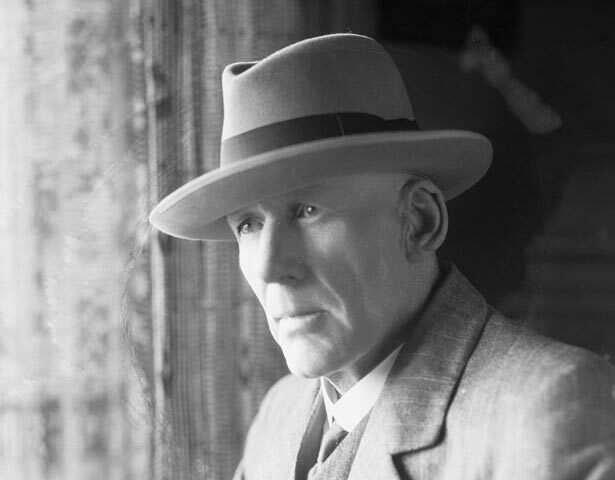 During the first decades of the 20th century Cowan wrote more than 30 books and hundreds of articles on New Zealand history, Māori ethnography and travel. He read widely, and did much to shape the way New Zealanders viewed their past. He is best known for the two-volume The New Zealand Wars: a history of the Maori campaigns and the pioneering period (1922–23). Until relatively recently this was the definitive account of the New Zealand Wars, and remains a classic. It is particularly notable for his use of both Māori and European oral sources. Cowan died in 1943. We have 21 biographies, 14 articles, related to James Cowan.